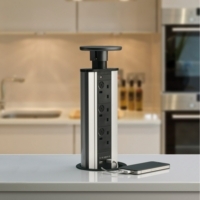 This pop up socket is the ultimate in modern convenience as it houses 3 plug sockets and 2 USB ports discreetly. 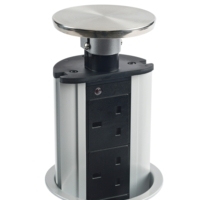 You won't need to do any expensive work on existing surfaces either as you will only need a 102-105mm hole in whatever surface the sockets are going. 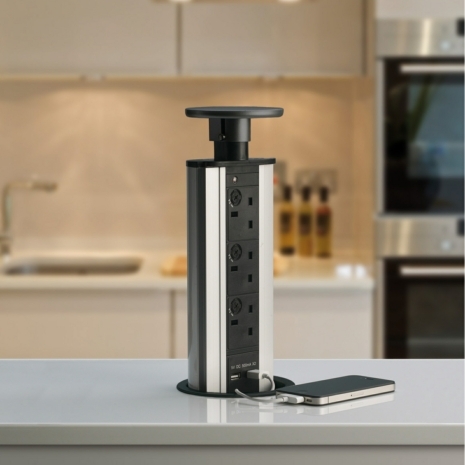 Generally, our happy customers have used the pop sockets on kitchen surfaces or islands for easy access to power applicances such as blenders, laptops and to charge mobile phones. 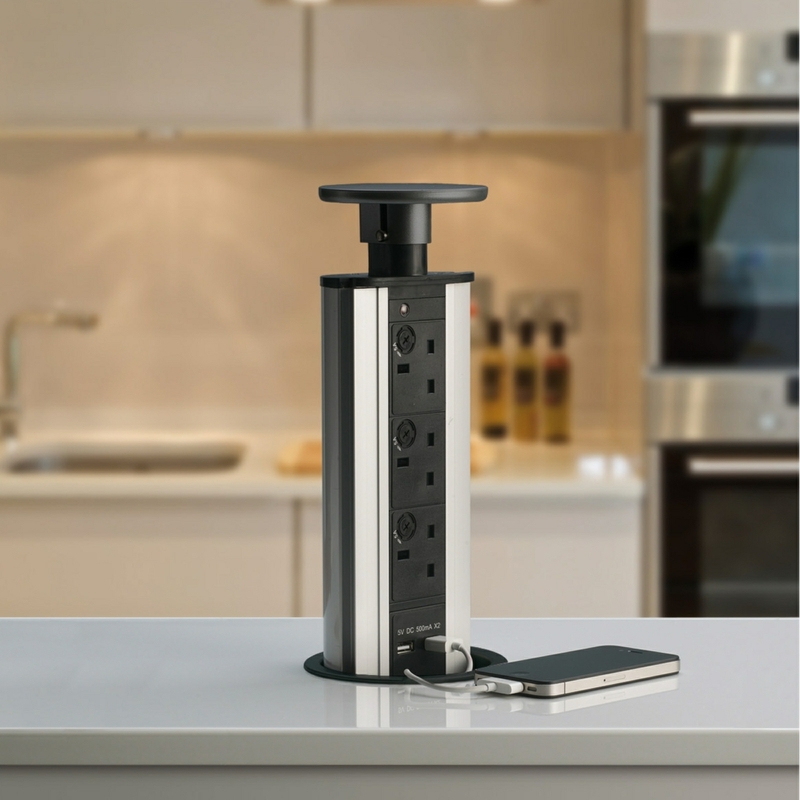 If you have any questions about the product or installation please don't hesitate to get in touch, one of our experts will be more than happy to help. CAN i USE THIS FOR KETTLE TOASTER AND COFFE MAKER?